The Spin Cycle project features renowned DJ Skratch Bastid building an innovative bridge between musical worlds. 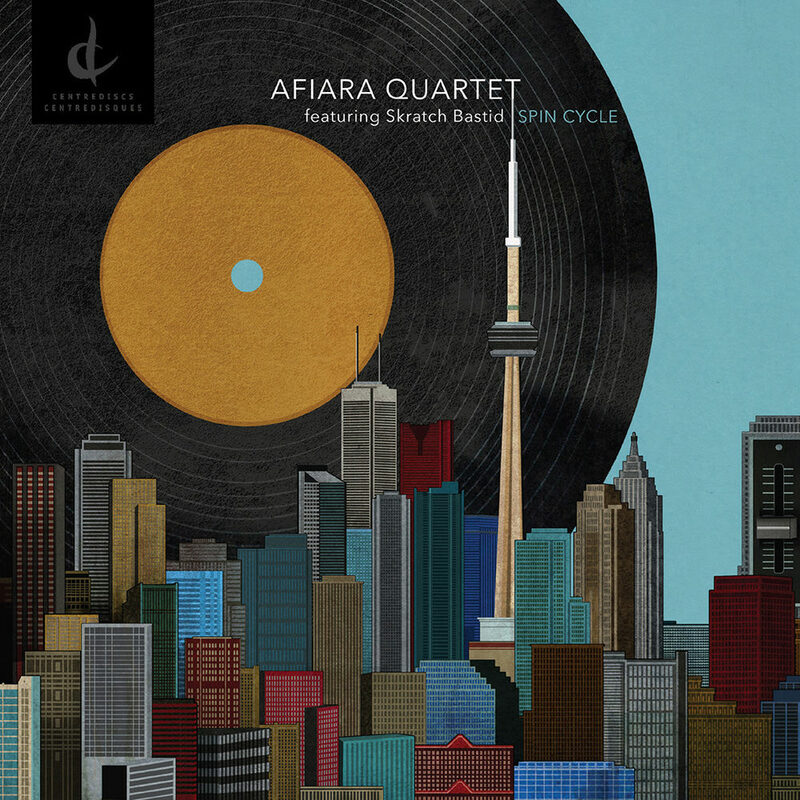 The Afiara Quartet commissioned four of Canada’s leading young composers to write new works for string quartet inspired by popular themes; these works were then remixed by the DJ, creating four new solo works for scratch DJ. The project culminates in the composers responding to the remixes in the form of a quintet, string quartet and DJ. This unique collaboration between the musicians and composers thus chronicles a complete musical conversation which traverses different media to create something wholly new. *Disc 1: Tracks 3, 7; Dsc 2: Tracks 4, 8 – 44.1 kHz / 24-bit PCM.